American Arnica plant, Arnica chamissonis, is medicinally interchangeable with A. montana but easier to grow, not being being sensitive to altitude. 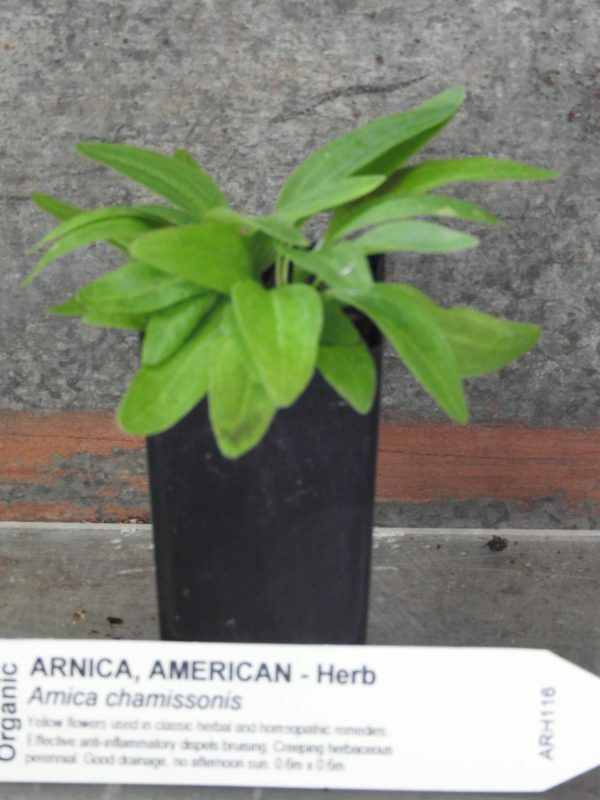 American Arnica is native to the western part of North America. Prefers moist, well drained soils in a protected, shaded position with morning sun. Frost resistant but drought tender. Arnica plant is a perennial alpine plant, growing to 0.2m x 0.5m. Yellow flowers to 0.6m, appearing in clusters during late summer. Be the first to review “Arnica, plant” Click here to cancel reply.